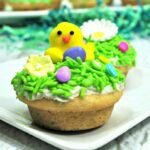 Home » Recipes » Course » Desserts » Chex Mix Recipes for Every Occasion! 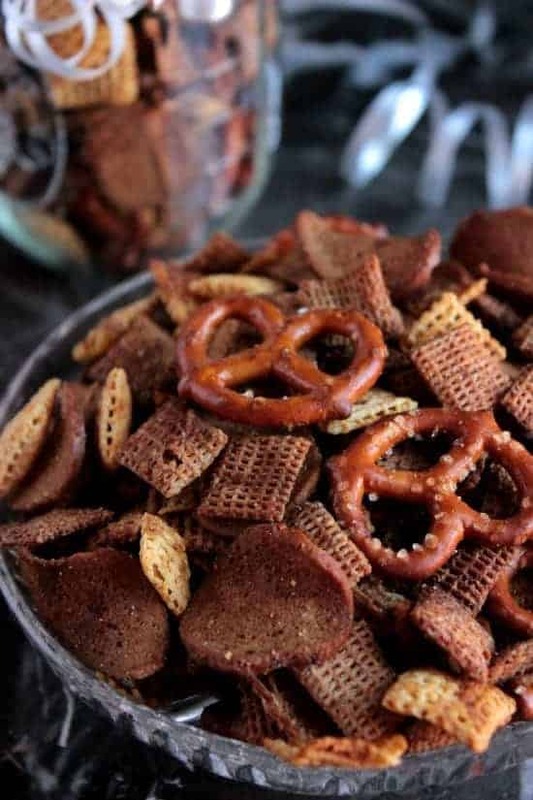 Chex Mix Recipes are the Ultimate Party Food! 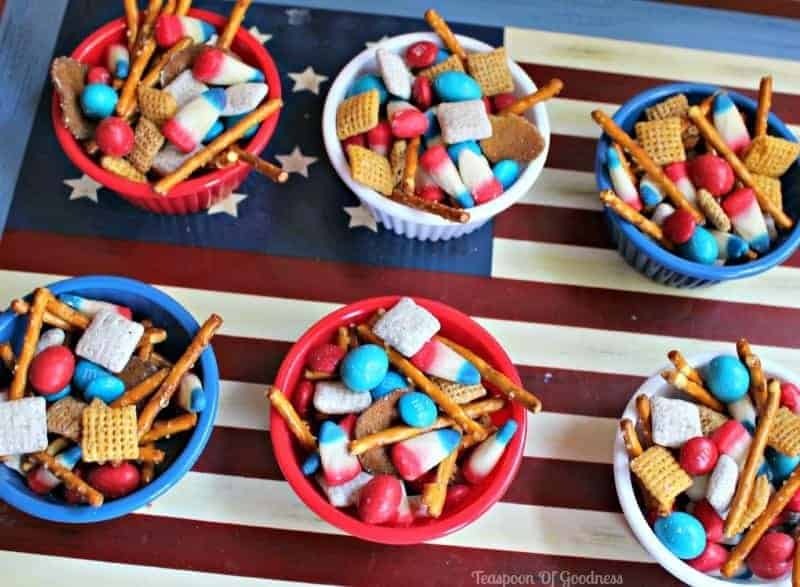 Sweet and Salty or Bold and Spicy, whatever you choose, these Chex Mix Recipes are the perfect snack to serve to a crowd! 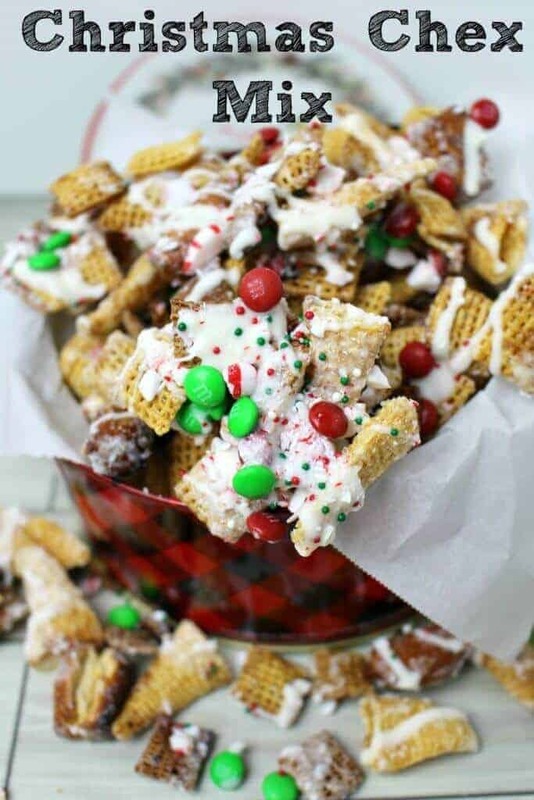 These Chex Mix recipes are festive, flavorful, and just plain fun to make. 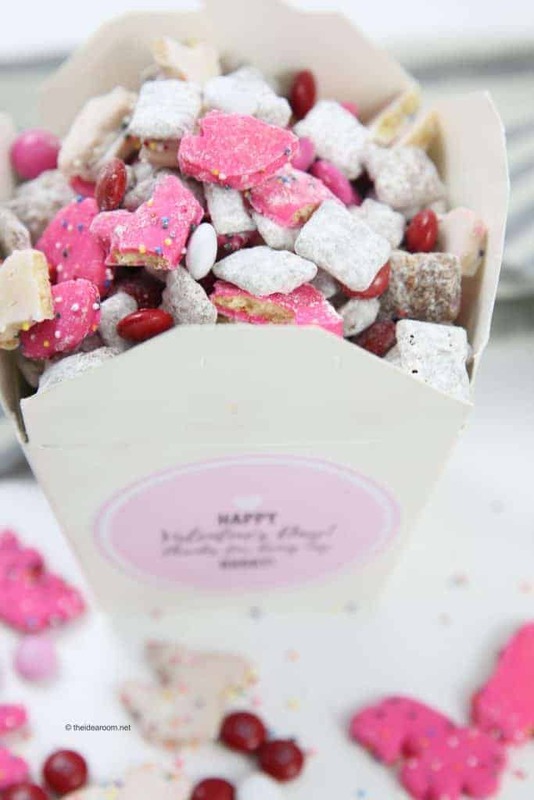 You can mix up something colorful to indulge your sweet tooth, or mix it up bold and spicy for a quick and creative way to wow your party guests. 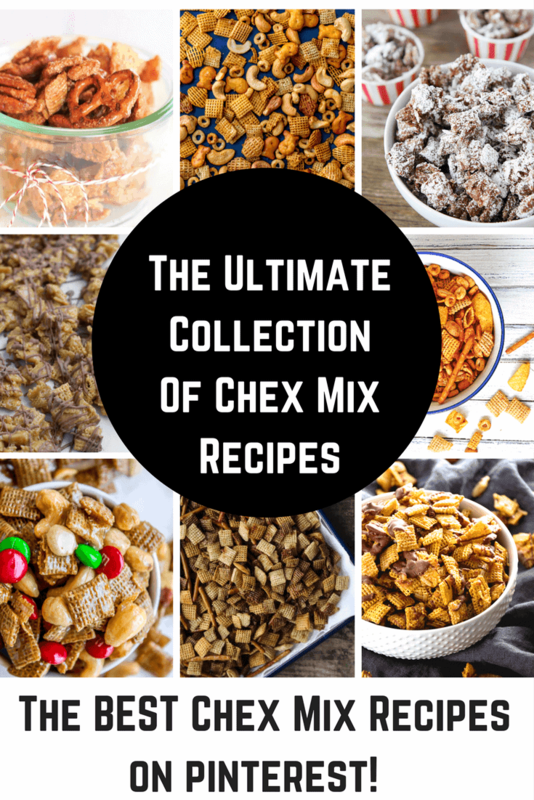 Either way, Chex Mix recipes are sure to please. This is the perfect time of year to follow Mother Nature’s cue and begin to mix things up: warm days with cool nights, colorful leaves in home décor, and my favorite – boots with jeans! It’s also the perfect time to start mixing things up in the kitchen. 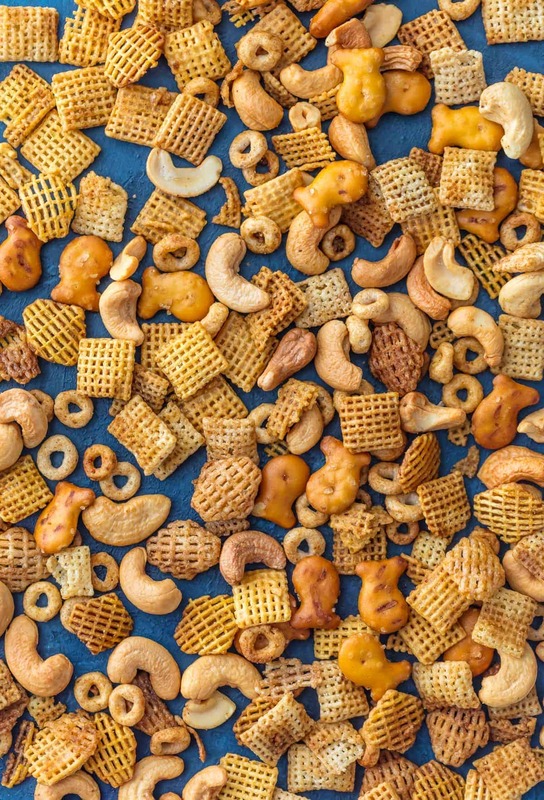 Nothing offers more variety and creativity in your snack life than Chex Mix! These delectable treats will inspire your guests to reminisce over their favorite childhood mixes and swap tasty holiday combinations. Whether you’re planning for fall football, spooky fright-night combos, or delicious holiday selections, browse here to find your new favorite. Bet you’ll love it. Happy mixing! 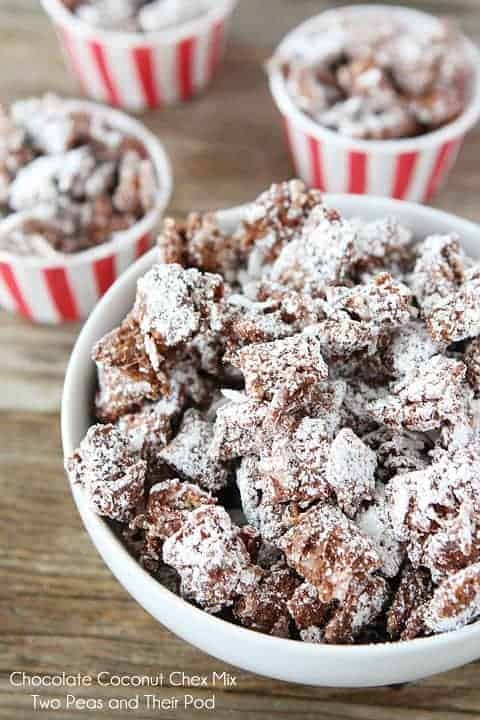 This Samoa Chex Mix by Julie’s Eats and Treats is on my list to make for every holiday that is coming up… just imagine the delicious taste of chex mix, chocolate, toasted coconut all smothered in caramel. I am in Girl Scout Cookie heaven with this one! You may remember this yummy Pumpkin Spice Chex Mix being shared a while back. It is one of Princess Pinky Girl’s most popular recipes and I can totally see why. 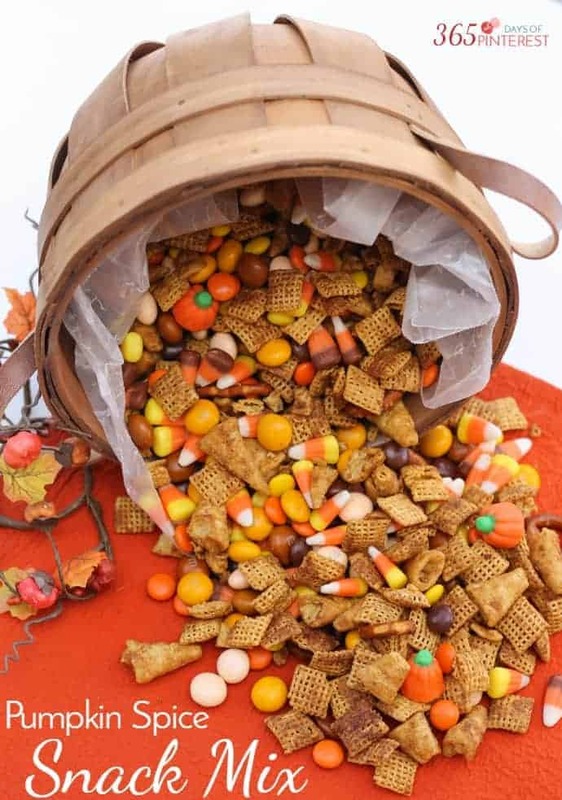 It is everything you love about fall all mixed into one bowl. 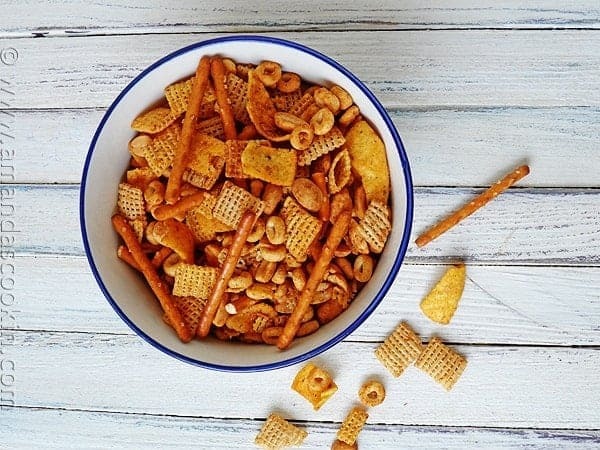 Chocolate and peanut butter are the secret weapon behind Oh Sweet Basil’s fan favorite Scotcharoos Chex Mix. Doesn’t it just look divine? I love the rich combination of Peanut Butter and Chocolate and I would probably polish off the entire batch of these all by myself. 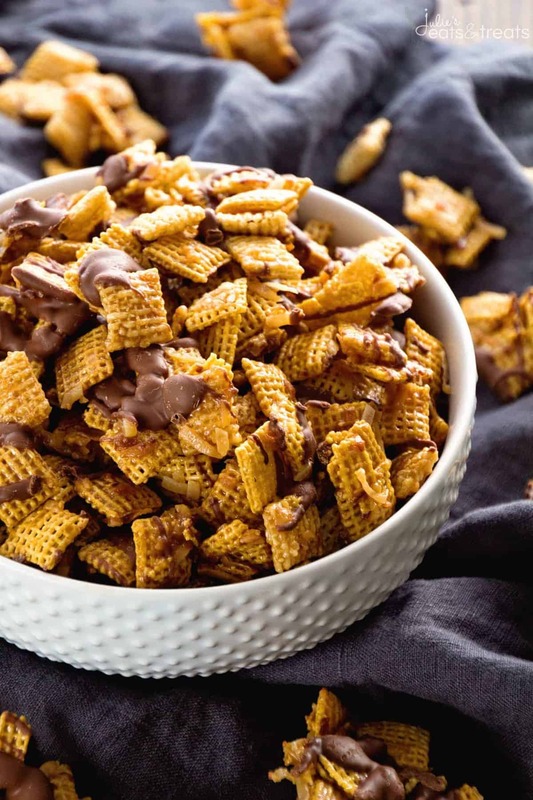 Foodie with Family has tempted me with this recipe for Heath Bar Crunch Chex Mix. Crunchy, sweet and salty and so flavorful you won’t be able to stop eating these. 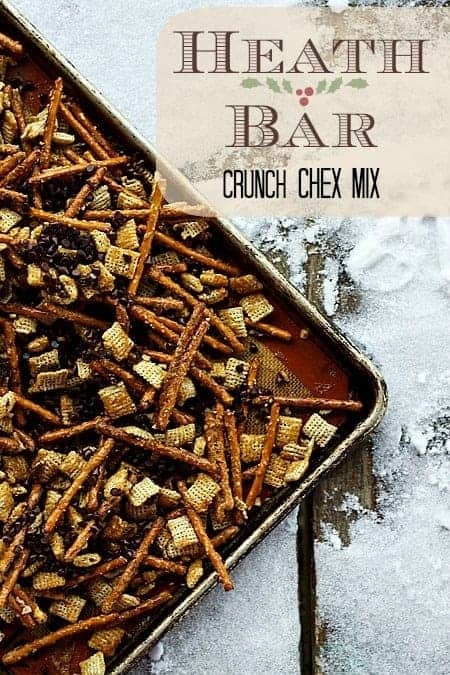 I love how rich Heath bar is and it would really amp your regular chex mix up a few notches! Chex Mix can be made really spicy, but this is an entirely new spin on the old classic. Amanda’s Cookin’ whipped up a batch of Taco Chex Mix. 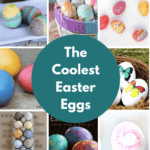 This is such a fun idea and so simple to throw together! 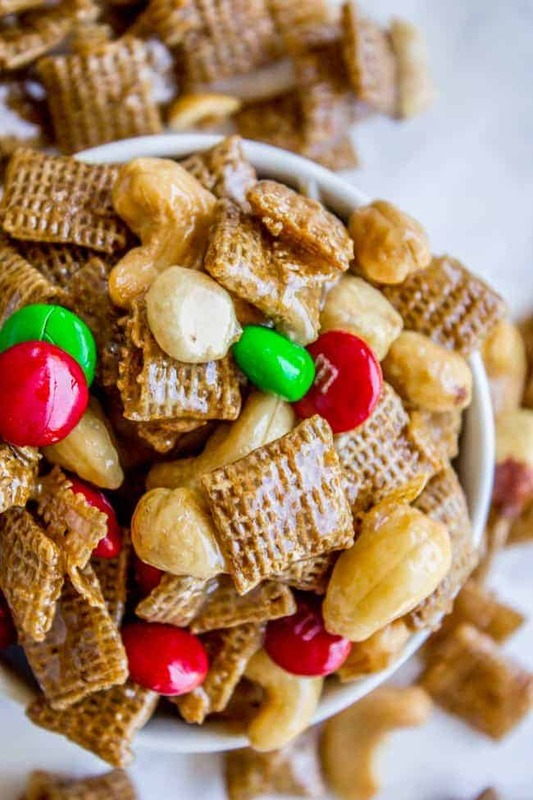 The Food Charlatan has a Christmas Sweet and Salty Chex Mix recipe that will have you armed with the perfect holiday party mix. You will be able to bring this to all of your festive holiday gatherings. I love the addition of holiday M & M’s, it adds the perfect pop of color! This may look like a store bought packaged snack mix, but I assure you it is not. 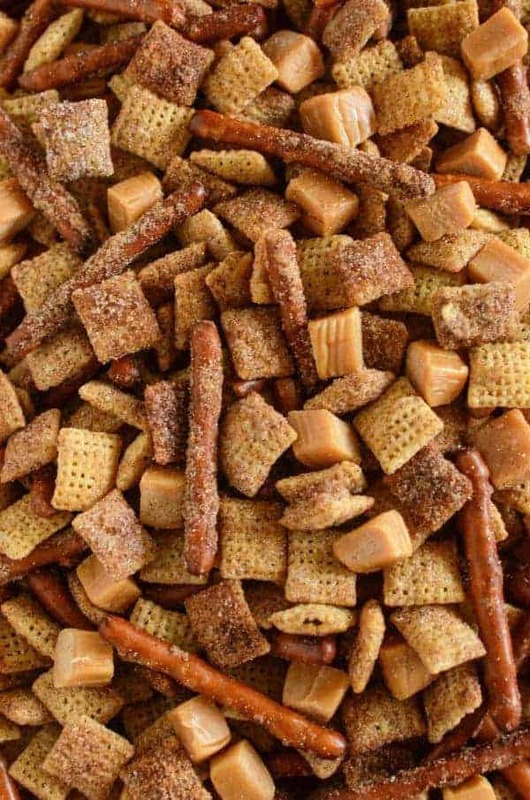 Big Bear’s Wife share’s her family’s favorite version of Chex Mix Snack Mix and it sounds like the perfect combination. 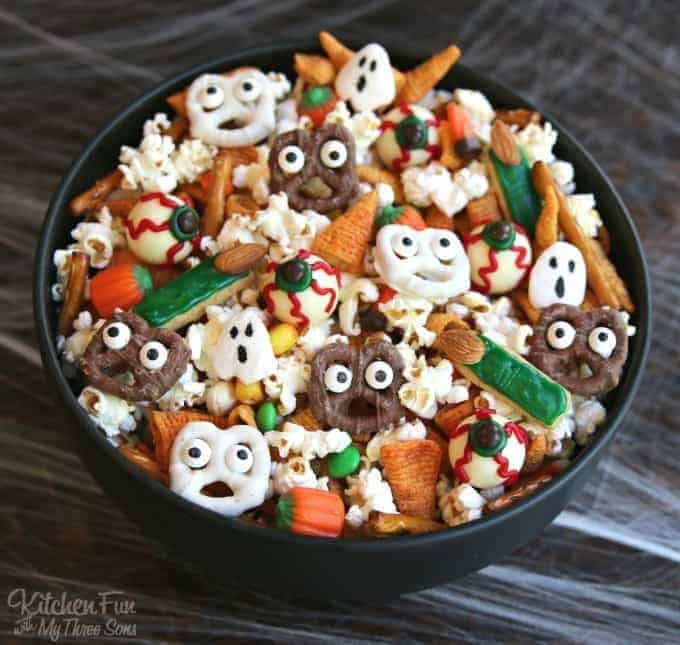 Head on over to see how she makes her version of this hearty mix! This is one of my go-to holiday recipes. 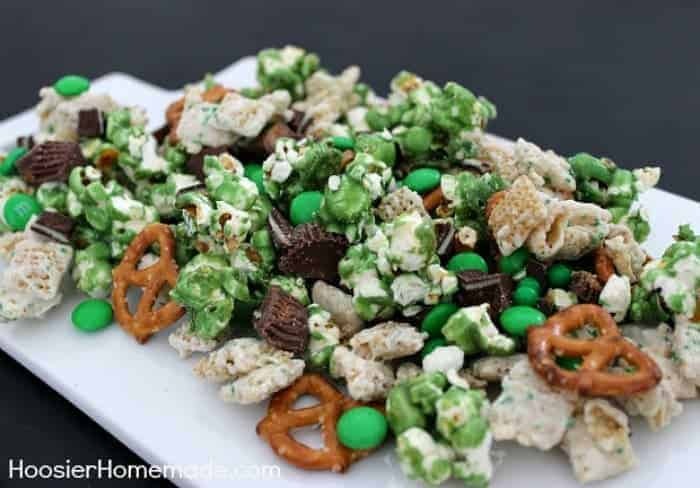 I like to refer to it as Christmas Crack, but the recipe is actually for a Christmas Chex Mix. Potato, po-tah-toe… right? It is sweet, salty and full of peppermint and holiday goodness! 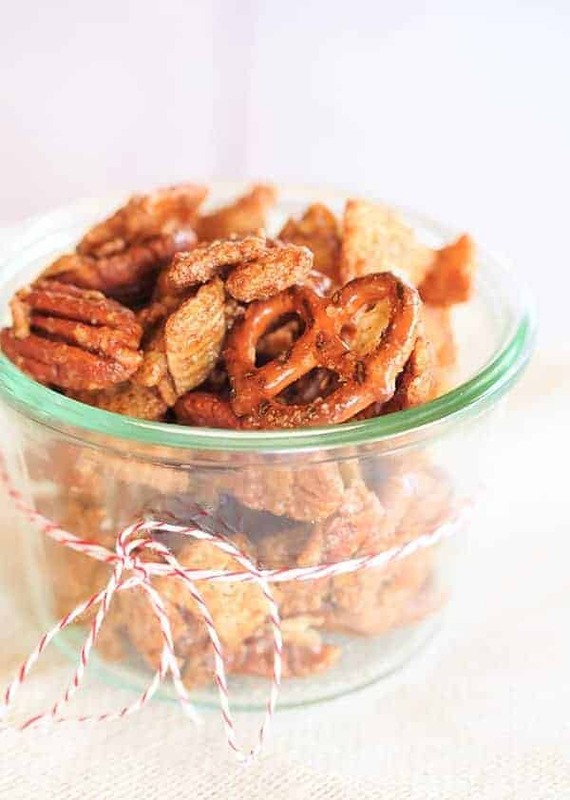 I have to try this Cinnamon Sugar Chex Mix from Brown Eyed Baker. 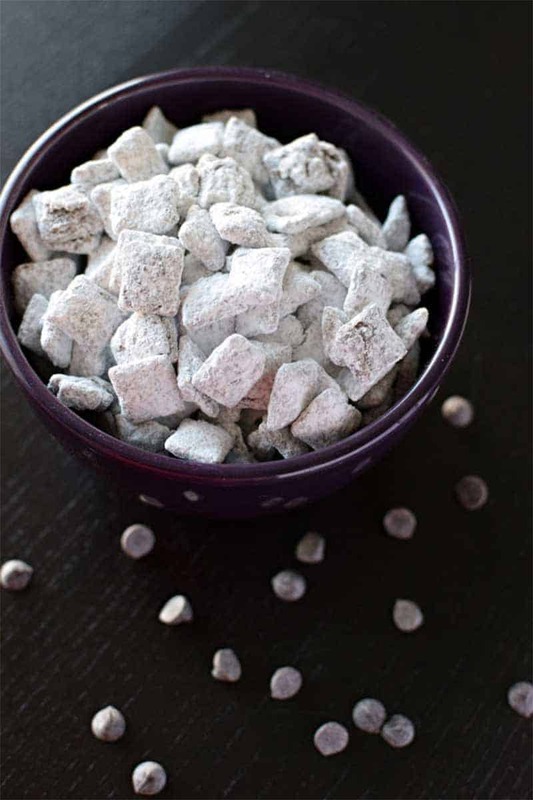 It combines sweet cinnamon cereal, chex and pecans for a fall inspired treat. It is calling my name right now! It appears that I am not the only one obsessed with brown butter! 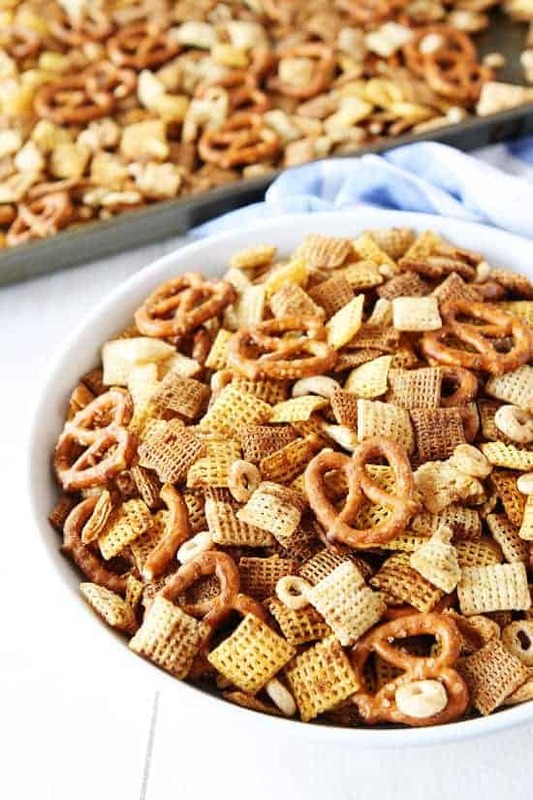 Two Peas and Their Pod created this brown butter chex mix and it is such a delicious spin on the traditional chex mix recipe. This has me ready to cozy up and watch a Netflix marathon! 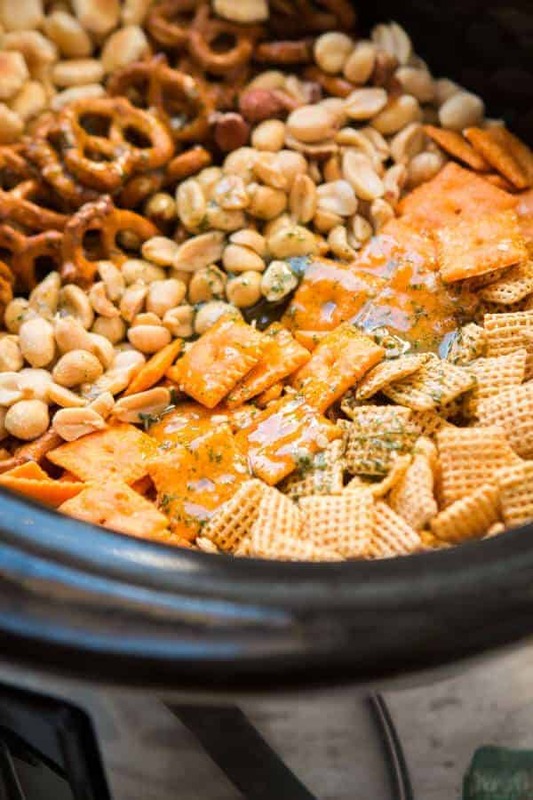 Break out the crock pot because Oh Sweet Basil is sharing her recipe for Slow Cooker Ranch Chex Mix. This is a treat that would be great for playing cards or a family game night. I think it is safe to say that everyone loves ranch flavored anything! Now this recipe is totally different, but I am so curious! Have you ever heard of Marmite? It is an international food flavoring made with a yeast extract. 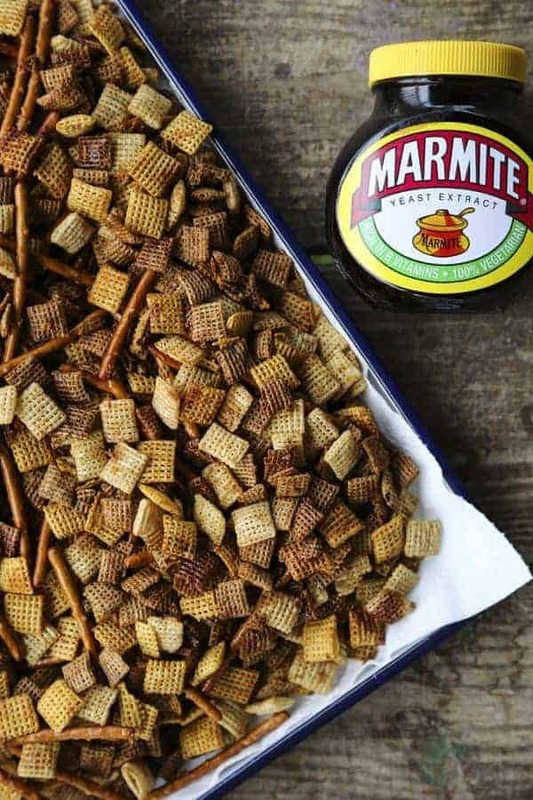 Foodie with Family uses it to make a Marmite Chex Mix that is filled with flavor and oh-so crunchy! I know you are curious, too! I have to admit, whenever a recipe says “best ever”… I’m game! If someone has the confidence to name their creation the best ever, I do believe them. That is specifically why I’m sharing The Cookie Rookie’s Best Ever Chex Party Mix. That and the fact that it has all of my family’s favorite snack foods. It must be the best ever! 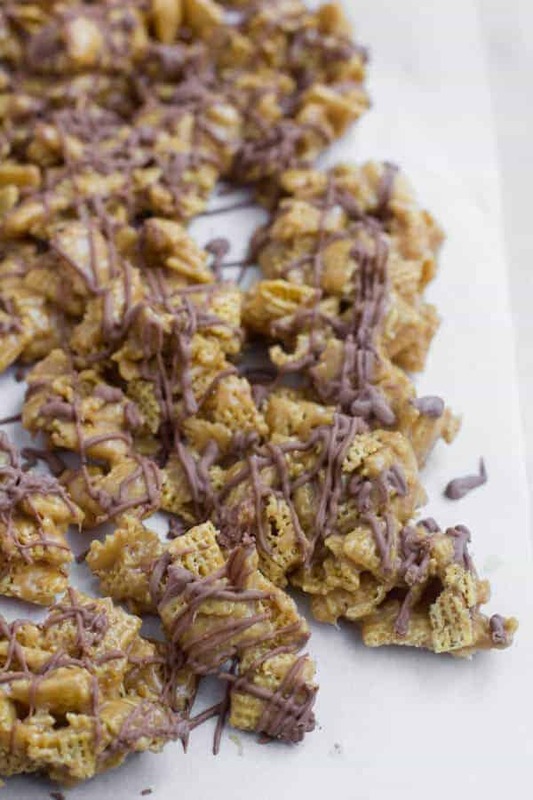 This recipe for Chocolate Coconut Chex Mix is one of the prettiest I’ve seen. I love all of the ingredients used by Two Peas and Their Pod in this version of Chex Mix. It is just a stunning treat, too with all of that white powdery goodness! Spinach and Artichoke Bites – Appetizer, Side Dish or Dinner…You Choose!